Increase in Services for all services. Good news, HomeKit enthusiasts: Apple has a mini site just for you! 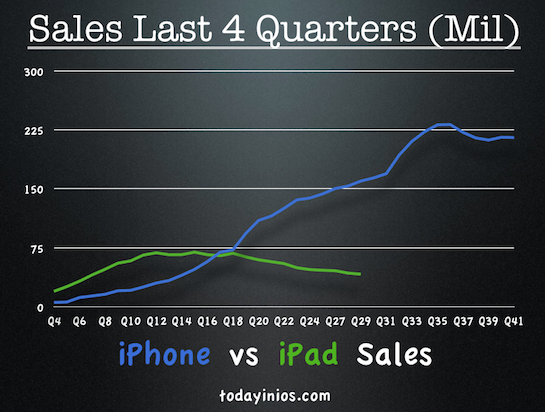 Apple Reported All time records for Revenue, EPS and iPhone Sales in a quarter. EPS = $3.36 a share. Next Cash Dividend will be Feb 16th for those owning stock EOD on Feb 13th. Record Apple watch sales for units and revenue. Will update with more details during call. Next Episode of Today in iOS will be out later this week.